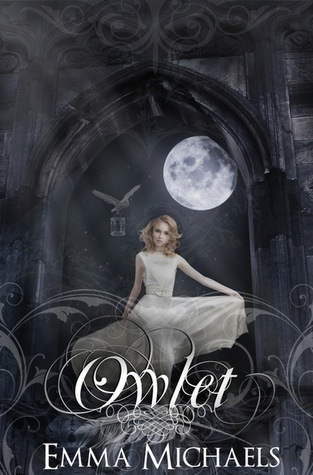 Owlet is a story about transformation. 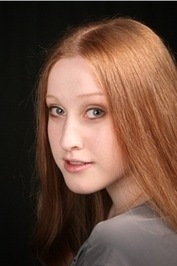 Iris is a young girl, very isolated and homeschooled by her dad and looked over by her only friend Diana. Enter weird dreams about an island, a mysterious trip that her dad demanded she take, a gold necklace and Iris’s life is never the same. Iris is thrown into a confusing world where the truth about her life is beyond imagination and her course of direction extremely cloudy. After a horrific tragedy she meets new family members, fights for her life and discovers a long lost love. I am looking forward to the next installment and I will definitely be passing this book on to my daughter. Such a great, empowering book for young people. Personal: Emma Michaels is a cover artist and author of The Thirteenth Chime, Anasazi, Firstling and Owlet. As the founder of The Writers Voice blog (http://OurBooksOurVoice.Blogspot.com) she loves to connect authors and readers. Her love of blogging started when she created a review blog in 2009 (www.EmmaMichaels.com) that gave her that final push towards submitting her novel to her first publisher, Bokheim Publishing. With her novel Owlet and her full ‘Society of Feathers’ series being published through Tribute Books she feels blessed to be working with two of her favorite publishers to bring her books to life. Iris watched her balcony doors open of their own accord, daring her to jump. The wind pushed and pulled the curtains but the doors were completely still against the walls,waiting for her to make a move. Her room was alive and gently trying to push her toleave the safety of its four walls, like a mother bird pushing its child from the nest. “Yes. Fly. You can do it. You know you want to. Jump. It will be so easy.” Thevoice was soothing and feminine. Iris threw the sheets off her legs and walked to her bedroom door. Turning and facing her balcony, trying to decide if she would give in to her bedroom’s strange form of guidance, she listened carefully to the hypnotic voice. The voice remained soft and lightly tempting but with no real force behind it, letting Iris know that the final decision was hers to make. This wasn’t the first time her dreams had taken on a mind of their own. She would close her eyes each night and everything would meld with her memories of the night shedecided to never leave her father’s side. There was a big difference between Iris when she was awake and when she was fast asleep. When she slept, she knew that what her heart was telling her was true; she was only one leap of faith away from flying. Running to the balcony she climbed over the railing and looked at the night sky.